Posted 30 May 2018 & filed under 18th century, 1920s, 1930s, 1990s, 2000 -, Agriculture, Butterfield family, Middle ages, Mills, Places and spaces, Work. In Cottonmill Lane almost opposite Priory Walk, there is a little track which leads down to Sopwell Mill Farm. The original mill on this site was probably one of the three St Albans mills referred to in the Domesday Book. There was certainly a mill here at the time of the Peasants’ Revolt in 1381. It was a paper mill in the 16th and 17th centuries and paper in those days was made by pulping bleached rags. The mill was rebuilt in 1691 as a corn mill and, amazingly, the mill was still in productive use until 1931. The present mill is predominantly late Victorian after a fire, in 1868, totally destroyed the original mill which was sited a little further upstream. 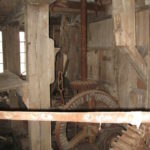 The mill was rebuilt in 1890 although milling appeared to carry on without a break. 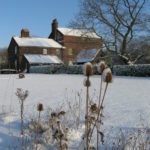 In the late 18th century, the mill was occupied by the Norris family: Henry Norris senior who died in 1783 and Henry Norris junior who was the occupier in 1811. He was succeeded by Samuel Smith and later his son Frederick.They were there in 1841. 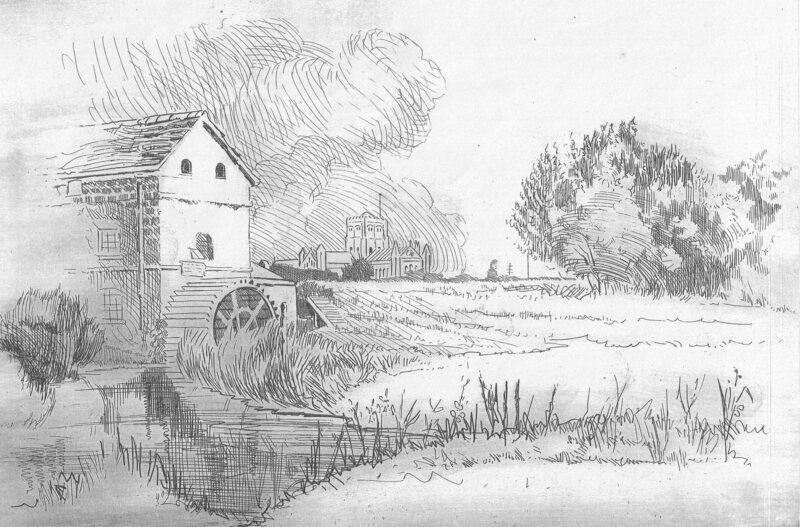 In 1851, George Lawrence was a journeyman miller although he was not living at the mill. He was living at Sportsman’s Hall and the mill was occupied by an agricultural labourer called Abraham Long. In 1861, the mill was occupied by the Climance family. The miller, Alfred Climance, was described as a miller employing one man. In the 1871 and 1881 census, the mill was occupied by Edmund and Lydia Hinton – his occupation was described as a miller and farmer of 20 acres employing one boy and one man. The next tenant is one of its more famous millers: George Butterfield. Butterfield Lane is named after him and his son. He is in the 1891 census living in Sopwell Mill, Sopwell Park. George Butterfield was a master miller, who came with his family to Sopwell Mill Farm roundabout 1883 or 1884. He was born in Chesham Bois and moved to Wendover before settling in St Albans. 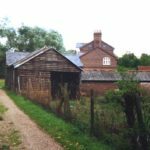 His granddaughter, Grace (Butterfield) Fitzjohn, who was born at the Mill in 1896, maintained that he came to St Albans with a view to rebuilding the mill. 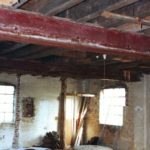 However, it is unclear whether he supervised the rebuilding of the mill from scratch or whether he was able to take possession of a newly completed watermill and mill house. As the mill was occupied before he came, it is likely that there was some habitable accommodation at the time. The farm which has commodious barns and outbuildings for cattle and pigs, was run by George’s brother, Thomas. George’s milling days were cut short in 1907 when he had a terrible accident. It was a very cold winter and he went outside to chip the ice of the waterwheel when he was struck on the head by a falling icicle. As a result of his injuries, he lost his sight and hearing and was never able to work again. The business was then run by his son, also called George. George (senior) was looked after by his family at the mill until his death in 1927. By 1931, the mill was no longer profitable. 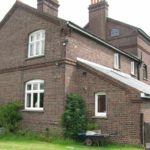 Demand for animal feed was decreasing and the mill was owed £440/14/- in unpaid bills, so after 47 years of tenancy, the family decided to relinquish their lease and realise their farm assets. The sale of the stock, mill and farm equipment took place on 7th September 1931. Included in the sale were 10 good dairy cows, 11 in-calf Shorthorn heifers (in grand condition), a Roan Shorthorn bull, two horses, a Saddleback sow and 12 pigs. There were 125 items listed. The family moved out to Old London Road and then to Ramsbury Road. With their departure in 1931, all milling ceased in St Albans. Read our Sopwell History book for more information about the mill and Butterfield family. Other interesting tenants were the Blower sisters. 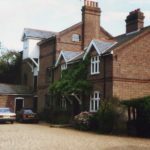 Sopwell Mill Farm became a private house in 1993, pictured below. It is a Grade 2 listed building belonging to the Gorhambury Estate. 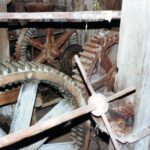 Much of the machinery has been disposed of elsewhere but the waterwheel, now sadly dilapidated, and some grindstone are still there, also the mill pond. 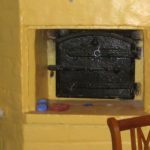 Inside there is an original bread oven and outside at the back there is an old well. It is a wonderful example of our rural/industrial past. There is now (2018) a proposal to turn the mill into two homes. It is hoped it will be given some sympathetic treatment.